This product was formerly known as the Symbol LS1203. 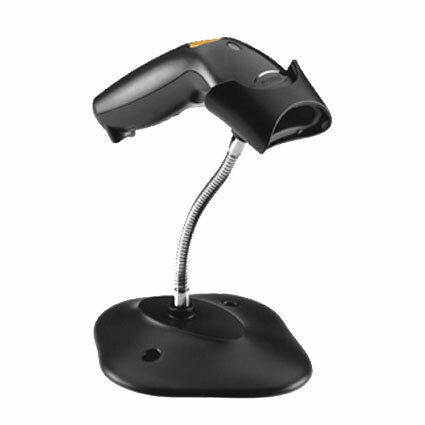 The Zebra LS1203 barcode scanner offers affordable laser scanning in an ergonomic design, ideal for smaller businesses. With an optimal scan range of contact to nearly 8 inches for standard retail barcodes, the LS1203 speeds up product entry and eliminates the errors associated with hand-entering data, saving you time and money. The snappy 100 scans per second decode speed ensures speedy reads and streamlined operations. 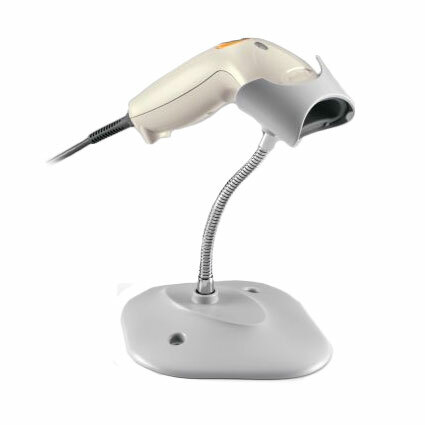 Available with an optional stand for autosense scanning, the LS1203 can double as a presentation scanner if you need hands-free scanning. Zebra ships the LS1203 with a 3-year warranty, giving you long-term coverage for a great investment. 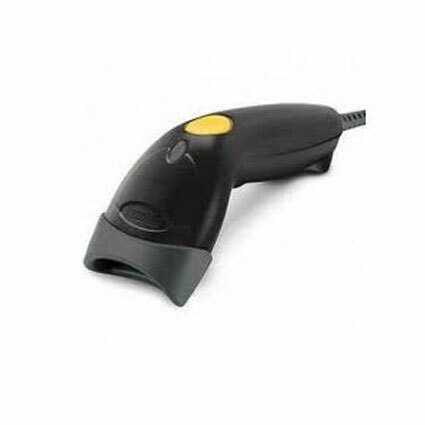 This product was formerly known as the <strong>Symbol LS1203</strong>.<br><br> The Zebra LS1203 barcode scanner offers affordable laser scanning in an ergonomic design, ideal for smaller businesses. With an optimal scan range of contact to nearly 8 inches for standard retail barcodes, the LS1203 speeds up product entry and eliminates the errors associated with hand-entering data, saving you time and money. The snappy 100 scans per second decode speed ensures speedy reads and streamlined operations. • Dimensions (W x D x H): 2.4" x 7.1" x 2.4"
5 Mil 0.25" to 5"
7.5 Mil 0" to 7.75"
10 Mil 0" to 8.5"
13 Mil 100% UPCA 0" to 8.5"
26 Mil 200% UPCA 0" to 10.25"